Working with a client base that crosses fashion, tech, finance, and media, we tend to meet a lot of unique personalities. This blend of characters is one of the brightest benefits of being an image consultant! Our clients have often found difficulty integrating their own sense of casual, fun styles with a level of professional sophistication. As a recent example: a few colleagues of ours attended the Fast Company Innovation Festival in Manhattan. The states of speaker and attendee dress ranged greatly. Some men wore suits, some ladies donned sandals and jeans — but most were somewhere in between. 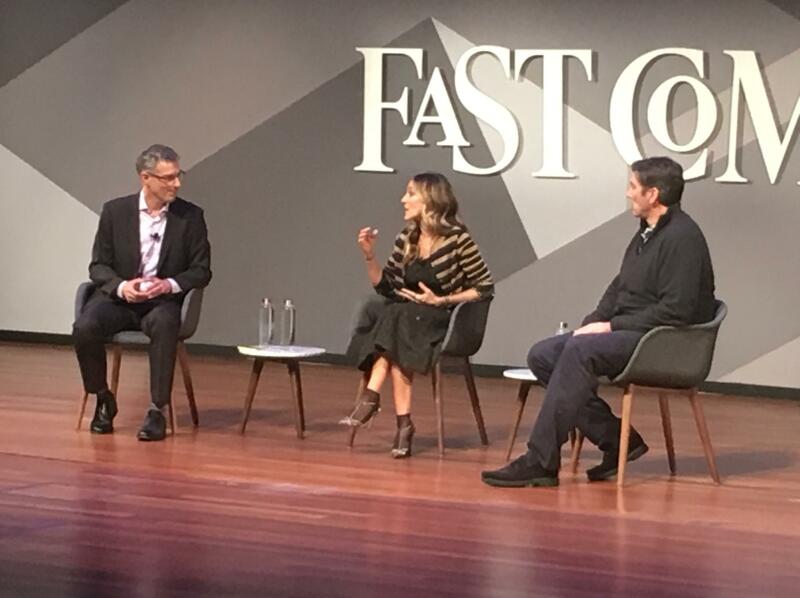 In a panel discussion with actress/designer Sarah Jessica Parker, AOL’s Tim Armstrong, and Fast Company’s Editor-in-Chief Robert Safian, the stage showed it all: casual elegance. Parker, showcasing her latest pair at SJP Collection, was an example of modern casual. Armstrong, as a tech CEO, donned a sweater and loafers, and Safian wore a jacket (open) with pants and a pair of classic lace-up. This flexibility for modern leaders in many business functions is encouraging, and allows your clients to play with their inner “creator”. It’s a good thing! For guys looking for casual-chic, encourage them to hit the office as they would meet up for a nice Sunday brunch. For ladies, encourage them to arrive as they would for a day of upscale shopping: comfy, but sophisticated. In the end, it’s best to remind your clients that being read as “classy” has nothing to do with dressing “classic”. 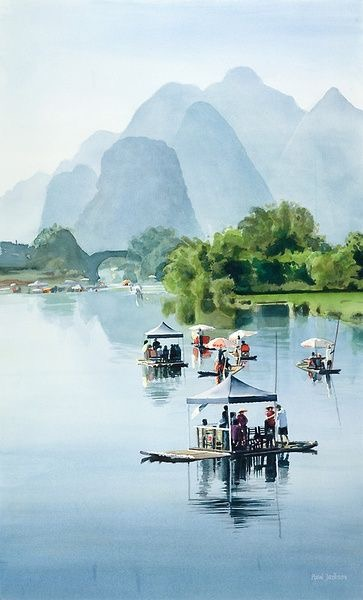 Foreigners discovering China for the first time are often swept away by the incredible strength of the country’s character: its geography, natural beauty, as well as its tremendously dense cities and vibrant people. As with travel to any new country, visiting China on business is something that may require added and early research and planning. As a general rule, the Chinese are very formal when it comes to respecting etiquette – especially in business settings. If you’re heading to China for business, consider these cultural tips to ensure success! Usually, business relationships formed after your Chinese counterpart gets to know you, so working through an intermediary is crucial. The relationship could be an individual or an organization that can make a formal introduction and vouch for the reliability of your company. Send materials in Chinese that describe your company, its history, and literature about your products and services before you leave to China. The Chinese often use intermediaries to ask questions that they would prefer not to inquire about directly. Be very patient. In general, Chinese companies are known to take a considerable amount of time to make a decision. You are always the representatives of your company; even the trip is a personal one. That meant, always make sure you are on your best behavior. “Rank” is extremely important in business relationships. Always keep this in mind when you address someone in a business meeting. It is important to note that there is no gender bias in business. The Chinese often prefer face-to-face meetings rather than written or telephonic communication. Remember the communication is official, especially in dealing with someone of higher rank. Treating a high-ranking official too informally, especially in front of their peers, could ruin a potential deal. Meals and social events are not the places for business discussions. There is a difference between business and socializing in China, so try to be careful not to intertwine the two. Have you had successful business meetings in China? Let us know your tips or thoughts here!